Hailstorms hit parts of Marathwada, India on Wednesday, reviving memories of similar storms that struck the region in February-March 2014. 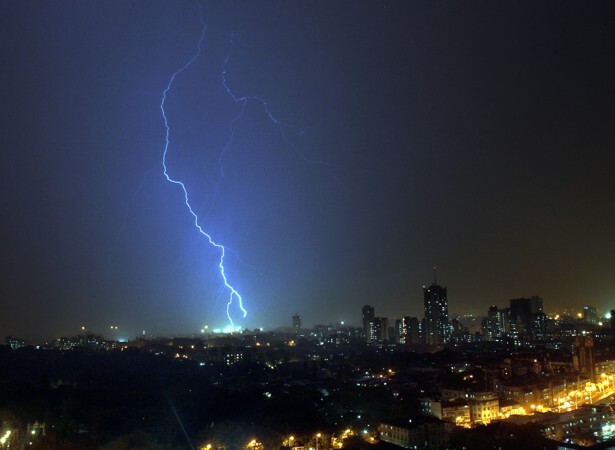 At least six people were killed in lightning-related incidents as unseasonal rain coupled with strong winds and hailstorms lashed parts of Beed Latur and Osmanabad districts. Loss of livestock as well as significant damage to mangoes, grapes and sorghum has also been reported from many areas in these districts.Chandrakant Suryawanshi, Beed's resident deputy collector, said that heavy rain lashed parts of the district for almost three hours from 3 pm. Two deaths each were reported from Kaij and Parali talukas and one from Dharur taluka. Two bulls were also killed, the preliminary assessment of possible damage to fruits and crops is on, Suryawanshi said. In Latur district, Ausa, Nilanga, Renapur and tehsil limits of Latur reported maximum rain. Saqueb Osmani, Latur district disaster management officer, said a 19-year old resident of Dhakni village in Latur taluka died after being struck by lightning. Parts of Latur and Ausa talukas also reported hailstorms, he said.Osmanabad tehsildar Ayush Prasad said the areas bordering Latur and Beed districts of Osmanabad received heavy rain accompanied by strong winds. While no loss to human lives was reported from this area, one buffalo was killed in the district, Prasad said. Villages from two revenue circles in Osmanbad taluka reported damage to crops as per initial reports, he added. Disaster management officials, citing the meteorological department, said Beed, Latur and Osmanabad districts would witness rainfall activity for another 24 hours. Officials of the India Meteorological Department (IMD) said the set of weather systems that have formed over the southern states continue to raise the possibility of unseasonal rain, thundershowers or hailstorms in parts of Marathwada. A trough has formed over coastal Andhra Pradesh and Tamil Nadu, while a cyclonic circulation has developed over parts of these two states. A 50 percent rise in lightning expected by the end of the century.